As a sheep’s fleece peels away from its body a snowy, downy undercoat is revealed. The act is for the sheep’s comfort, if the process does contort the animal. Without the removal of its coat before the heat of summer, the sheep sweat and itch, and find themselves home to nesting insects. Nonetheless, Adrian’s swollen, puffy purple eye socket attests to one sheep’s protestations. Witnessing the process, one would be forgiven for thinking it is financially driven – to appease a demand for the lovely light coats. However, the costs to the farmer typically exceed the price the fleece will fetch. They certainly would If the rallying of family and neighbours to support the special event were costed. In one village, three farmers club together to hire in the expert shearer. The wives plan special meals and divide responsibility amongst the households. Everyone, including children, support the process: collecting and rolling the coats to the Wool Board’s Standards as the fleece fall away from the ewes and rams. They also help keep a special rugged area of the barn clear so the fleece can be kept clean. The strongest and fittest farmer helps with the shearing, at a much slower rate than the pro. Each sheep does have its own personality and reacts individually to the ritual shearing. Most sheep wait their turn patiently, like cueing at the salon. 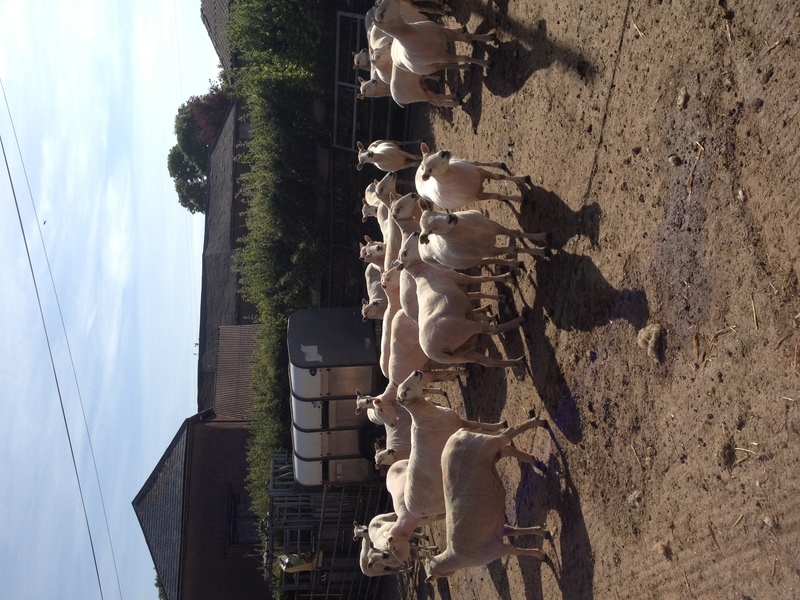 Some cough and bleat, sounding like sheep pretending to be cattle, hoping to get out of their turn in the barbers grasp. Sheep Shearing is the first step in a long process to bring yarn to the crafter and fabric industry, setting aside the selection and husbandry of breeds. In the Ecology of Craft it is a spectacular moment representative of both the environment and spectrum of tasks in making of craft, but also how craft helps create community. The Sheep certainly would declare the expert Shearer an artisan. He knows exactly how to hold the animal to minimise time and cuts, and maximise the quality of the fleece. The Shearing of wool also lays bare not only the sheep, but also the work and knowledge that is needed to transform this raw material into yarn before it can be turned into fabric, and that into garments. It also is emblematic of community – of connectedness between people, uncosted work in society, and how craft values and maximises available materials. Before market, the fleece must be, at least, plucked, sorted, carded, washed, dried, mordanted, spun, and dyed. This summer, participants in our FREE Dye-making programme with the London Borough of Waltham Forest will have the opportunity to try these steps with a fleece Adrian kindly sheared for us. The programme is open to young people 11-19 from Walthamstow, Leyton, Leytonstone, Chingford, and Highams Park, but booking is essential.